« Coming Up On Royal City Rag… A Mixed Bag Of Nuts! The start of Royal City Rag on September 5 had a distinct labour flavour, with music by icons Pete Seeger, Woody Guthrie and Billy Bragg. There may be some of you who would quibble about including the Bard of Barking (Bragg) in such exalted company but over the years he really has done a great deal to support the rights of the downtrodden worker. 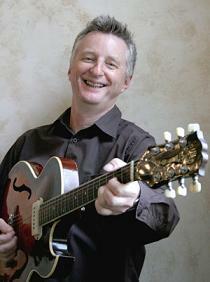 You can catch Billy Bragg in Hamilton at the Studio in Hamilton Place on November 18. Later in the first hour, freelance journalist Bob Gordon and Judy Martin from the Sierra Club joined us to for the latest installment in what is rapidly becoming the Hanlon Creek Business Park fiasco. The City of Guelph spinmeisters have been falling over themselves to paint the opposition to the business park as just a small band of misguided activists holding the city to ransom. As Judy pointed out, well-known and respected local organisations such as the Sierra Club, Guelph Chapter of the Council of Canadians, Wellington Waterwatchers and Guelph Urban Forest Friends have all expressed concern about the project as currently envisaged. They don’t necessarily want it stopped but they would like more changes made to protect the area’s sensitive ecology, endangered wildlife, and aquifier groundwater recharge important for our water supply. Read this post to get a better understanding of the well-orchestrated public relations campaign the city has been running. As Bob Gordon put it, it may be a well-run campaign and you can admire it for that but is it fair or accurate? The Guelph Mercury, in a recent editorial, called the city out over the hyperbole they have been using, in what some would say, is a deliberate attempt by the City to demonize the occupation and alienate the activists from the general population of Guelph. The project is now on hold to next Spring which hopefully will give the City time to consider re-engaging some of those with concerns or, of course, they could just try bullying everyone into submission. What seems clear is that it ain’t over till it’s over, and this issue is far from over. Look for it to be an issue in next year’s municipal elections if it doesn’t get resolved fairly swiftly. We’ll endevour to keep you updated. 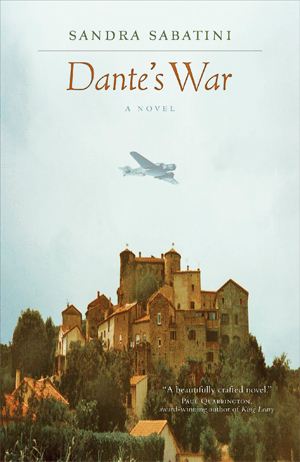 In the second hour, we caught with Magee McGuire at the Big Umbrella at the Guelph Farmers Market and talked to local author Sandra Sabatini, about her most recent book, Dante’s War. Sandra will be reading at the Eden Mills Writers Festival on September 20. We finished the show with a conversation with Culture Vulture Marie about some of the other authors to look out for at the festival. Check out the cool festival website at www.edenmillswritersfestival.ca for more details. All in all, I thought it was a great show. Feedback would, of course, be appreciated.